Home > Dog Health > Illness > Hyperkeratosis In Dogs: Does Your Dog Have Hairy Feet? Hyperkeratosis is also known as hairy dog feet. This is probably self-explanatory, but it’s called this because it looks like your dog is growing abnormal hairs on his skin. 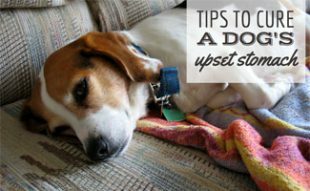 This can be a painful experience which is why it’s important to take your dog to the vet. 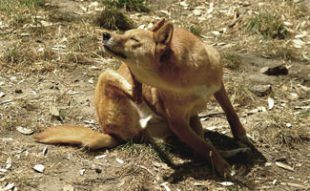 There may be an underlying cause as to why your dog has hyperkeratosis. Canine hyperkeratosis is when the skin on your dog’s nose or paws thickens and hardens. Unfortunately there is no cure, but there are things you can do to prevent your dog from getting hyperkeratosis. This skin condition in dogs occurs when there is too much keratin. There are two types of hyperkeratosis: nasal hyperkeratosis in dogs occurs on the nose area and foot pad hyperkeratosis occurs on the paws. 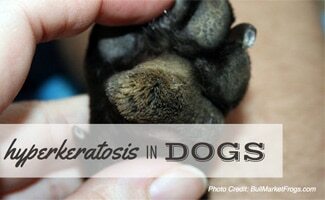 Dogs with hyperkeratosis may have dried out, callous looking paws and noses. If the skin cracks, an infection may develop. What’s the Cause of Hyperkeratosis in dogs? Unfortunately, hyperkeratosis is passed down through genes. Specifically, Labradors, Golden Retrievers, Dogues de Bordeaux, Iris Terriers and Bedlington Terriers commonly develop this skin condition. Hyperkeratosis often occurs in the first year of a dog’s life after it’s passed down through genes. Skin conditions in dogs, like hyperkeratosis, can be symptoms of other problems including the following. Canine Distemper – A vaccine is given to puppies for Canine Distemper which is why this virus is rare. Leishmaniasis – Caused by a parasite, which is often carried by sandflies. This illness can be controlled with medicine. Pemphigus Foliaceus – This is a common autoimmune skin disease that is often diagnosed with a biopsy. It is treatable with immunosuppressive drugs. Zinc Responsive Dermatosis – This is a skin disease that can occur if a dog is not absorbing zinc properly. It can be treated with zinc supplements. How Do You Treat Hyperkeratosis? Looking for hyperkeratosis in dogs paws treatment? Unfortunately, there is no known cure at this time. However, the skin condition can be managed by softening and then removing the hardened skin on your dog’s paws and nose. Make an appointment with your vet to have this done frequently. As we mentioned above, if your dog has hyperkeratosis it’s important to keep it controlled and have the excess skin trimmed off. Make an appointment with your vet and if you and your vet are comfortable, your vet can teach you how to trim your dog’s paws. Here is a video of how the process works. If your dog has hyperkeratosis you should take him to the vet. Since hyperkeratosis is a symptom of other illnesses, there is a chance that your dog is sick with something else, as well. Has your dog ever had hyperkeratosis? Hi everyone, my vet recommended using Vaseline/ petroleum jelly. It locks in moisture to keep the pads/nose from drying out. then you can use a cheep children’s soft bristled toothbrush to gently easy away the overgrowth with warm water. No need for expensive anything or wondering if it’s safe for them to ingest or hurting them by clipping them. I’ve been doing it this way because it’s safer, more affordable and my poor dog has it on all paws on nose. I can’t bear to put him through harsher. Of course any dog who needs filing because of extreme growth I’d recommend a pumice block, paws only. I noticed my girl Kimba had it on her paws. Then this week she started limping with her right paw. She’s old and has many other issues. So, I used the vasoline and trimmed the paw and no more limp. I will continue with the petroleum jelly daily. My Ella has been EXTREMELY touchie about her feet since we got her 10 years ago. She is part Golden Retriever so she has the long thick hair anyway. I can pull the long hair up from between her toes and sometimes it can be 2 – 2 1/2 ” long! Her pads get dry and crack, with the hair like stuff in the video. I tried the salve before but didn’t have much luck wih that. Guess I will try the warm water soak and the salve once more. my poor cavalier king Charles has this condition on his nose – it is gradually getting worse. had very little constructive help from the vet – is there anything else I can do? Hi I have a 5 yr old English Bully Rescue that came down with this over a year ago. I had tried a new food. So I thought this was causing it. It almost completely went away. Then about 6 weeks ago it came back. Now it’s worse. I was using a CBD cream on her pads. I’ll try what is suggested. She isn’t getting as much walk time because of my walking issues. Now that it is filling off I’ll be walking her more. It’s not bothering her so far. If I pinch lightly on the area she doesn’t flinch. So I’m thinking it doesn’t hurt. I will put the balm back on. And my husband and I will try to trim her tomorrow. I’ll get some sharp sissors. And try after a good soak in coconut oil and water. I did start giving her some zinc supplements. I’m not sure if it could be an underlying disease since it came and left. Unless it is a parasite. Our vets here in California are so expensive. But I do want to make sure it’s not anything serious. Thanks again for the info. I was always afraid to trim it. Since I thought it would hurt her. I’ll let you know. She doesn’t have any other skin issues. Thank goodness. I’m assuming she came from a bad genetic line. One of the reasons I wanted to rescue her. She has a bad underbite and her tail is almost non existent. She did have to have a cherry eye surgery. Thanks again. Geri. My Chinese Crested mom & son have this.I wish they’d find something other than trimming to help. Well, I see after reading the replies from all of you out there in dog land, & without a cure for Hyperkeratosis,(how convenient)… man’s best friend is to suffer to a no cure to Hyperkeratosis until the Veterinarian industry once again get’s its pound of flesh from us all, We can send a man to the moon & back… but we can’t seem to invent a non leaky coffee pot while pouring a cup of Java, or a cure for Hyperkeratosis. My Blue Healer/Border Collie has this dam Hyperkeratosis as well, & upon reading the diagnosis of the prognosis from everyone; It looks like we’re all up the same proverbial creek without a paddle when staring at high vet bills & an empty wallet (from a no cure) from this stuff. Ya know… what did people do a 100 yrs. ago when their ranch dogs got sick from this stuff? Welllllll; back then they didn’t get sick, because greedy dog breeders hadn’t entered on the scene yet to mess with their gene’s, & auto immune systems. money,money,money. My Vet drives a Corvette. I have a 7 year old Dingo who broke his leg two years ago. Since then he never really walks on it fully more like tippy toe. I just noticed that he has a hairy paw and was thinking the cause maybe not putting his full weight on it? I will be taking him to the vet ASAP but dreading it as he is not very cooperative and will have to be sedated. I’m sorry your dog is dealing with this. I hope everything goes well and please keep us updated on his progress! Hopefully everything gets solved and he is back to walking on all four of his paws! I have the same issue! My 8 year old dog joined our family with a broken pelvis, and he never healed properly. I’ve never seen him put pressure on that paw. I noticed tonight he has a hairy paw on that leg. I use an amope callous remover on my Shetland Sheepdog’s feet. Because she’s so calm, it’s an easy way to control the issue. My dog gets it on her nose. I simply use coconut oil and it seems to calm it down and the flakes subside. Can this happen in older dogs? My pup is almost 10years old and his paws just got like this. Yes, this can happen to older dogs. My dog got this about age of 9. He is now followed by a dog dermatologist. She sees him every 3 or 4 months. He is sedated and the hard areas on his paw pads are trimmed. I think she uses a Dremel tool. She also trims his nails since he hates it, might as well while he is knocked out. Every day I put cream on his paw pads, sometimes twice. I use several different ones. I use bag balm, but it is so sticky I then cover his feet with kids socks and use scrunchies to keep them on till it absorbs. I also use Dermoscent bio balm, this was recommended by the derm vet, not as greasy and works well. Kerasol intensive foot repair I use, got it online from Target ( it is for people). The best thing is warm foot soaks with food grade propylene glycol. I put about 1/2 inch of warm water in the tub then add about 1 or 2 cups of the propylene glycol. It is supposed to be 1/2 water, 1/2 glycol, but I just eyeball it. I make him stand there for about 5-7 minutes. This really softens the hard areas. Doing all this really keeps the keratosis at bay for the most part. He still needs the trim but it doesn’t get as bad as the first time and he is able to walk. Hope this helps, I gleaned all this info from reading stuff on the Internet and the vet agreed with it. Limping is a possibility. If you think your dog is limping due to hyperkeratosis you should schedule an appointment with your dog’s vet. A limp can lead to the dog overcompensating and cause other health issues for your dog. Does anyone know if there is any research or any trials going on or in the works to find a cure for this disease? 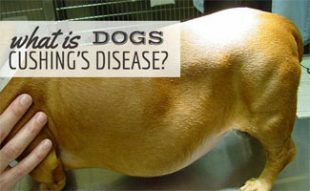 Our Airedale has had this condition since birth (though we had no idea what it was, but the breeder did and kept breeding dogs with it) and it’s horrible for her! We can only do so much and it’s getting to the point she’s in alot of pain. We take her to the derm for pad trims and dremel every couple of months and she loathes it! It’s breaking my heart. 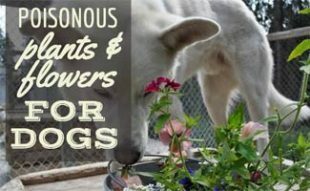 We do all the home treatments listed above but it just seems so terrible for dog and the family. There must be something more that can be done! There are more areas affected. My dog has it on her backside and tail. I would think anywhere they have skin, which is everywhere, it could be an issue. Oh no, I’m so sorry Stephanie. I suggest making an appointment with your dog’s vet to have the hardened areas removed.